The Grocery Outlet Difference Can Work For You! 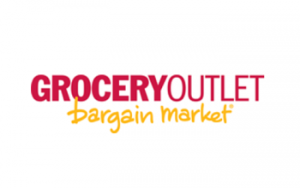 Grocery Outlet is the largest retail grocery remarketer in the U.S. We purchase and consign product to more than 200 Grocery Outlet businesses that are owned and operated by local families. Product is consigned to the store operator, meaning you don't pay for inventory until you sell it. We are a family-oriented company that trusts family management teams to run businesses. What makes Grocery Outlet Bargain Market different from other grocery businesses is that we buy brand-name products at substantial discounts and then quickly sell them at bargain prices - typically the lowest in town! This is a big differentiator and gives our stores a substantial competitive edge. From the date of the first operator agreement to the present, sales have grown to well over $1 billion annually. There are 200+ operating stores on the East and West Coasts with an aggressive plan for continued growth. Grocery Outlet grew out of a business established by Jim Read in the mid 1940's in San Francisco, CA. We have always been in the business of providing our customers a fun place to find extreme bargains on brands they trust! In the 1980's, Jim Read's sons, Peter and Steven, became co-CEOs of the company. The business is now run by the third generation of the Read family, with Steven's son, MacGregor Read, and Peter's son-in-law, Eric Lindberg, sharing the role of CEO. Grocery Outlet signed its first supplier contract with Del Monte in 1971. This contract, and many others just like it, allowed dramatic expansion of numerous retail locations. Financial support to allow you to invest in a growing business. Complete store build-out, fully stocked with product. Freedom to run a business the way you see fit and be your own boss. The opportunity to work with those you trust most, family. The chance to control your own financial future. A platform that you can use to impact the lives of the people in your local community; this is our higher calling: Touching Lives for the Better. Full-time commitment to operate your Grocery Outlet. Adherence to the terms and conditions of our operating agreement. Total commitment to grow sales and exceed customer expectations. Total commitment to support your local community. Computer and basic financial/accounting skills. Willingness to invest in the future. Minimum of 5 years retail store or restaurant management experience. Request more information below about starting your own Grocery Outlet business.